Parsons Brinckerhoff is developing a detailed project plan to support the future development of a nationally consistent technical framework in Australia for the Measurement, Monitoring and Verification (MMV) of geologically stored carbon dioxide. This report includes findings from the literature review, stakeholder engagement and the analysis and option development phase. The literature review addressed international technical and regulatory frameworks and guidelines, relevant international projects, Australian regulatory frameworks, guidelines and key Australian projects. There was strong support among stakeholders for developing a nationally consistent MMV technical framework, and acknowledgement that current Australian legislation fundamentally covers key regulatory and project outcomes sought within a national MMV technical framework. Stakeholders provided feedback on potential issues for the development of a national MMV technical framework. Parsons Brinckerhoff는 Global CCS Institute를 대표, 에너지자원관광부(Department of Energy Resources and Tourism, DRET) 후원 아래 지질학적으로 저장된 이산화탄소의 측정, 모니터링 및 검증 (Measurement, Monitoring and Verification, MMV) 의 국가 기술 프레임워크 개발 지원 계획을 구상하고 있다. 본 보고서는 1단계 – 문헌 검토, 2단계 – 이해 관계자 참여, 3단계 – 개발 내용 분석 및 대책으로 구성되었다. 문헌 검토에서는 국제 기술-규제 프레임워크 및 지침, 관련 국제 프로젝트, 호주 규제 체계와 지침, 호주 핵심 프로젝트 등에 관해 기술하였다. 이해 관계자들은 국가 MMV 기술 프레임워크를 적극 지지하였고, 현행 호주 법안 역시 국가 MMV 기술 프레임워크에서 추구하는 목표를 포괄하는 것으로 인정받는다. 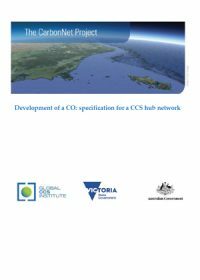 The fundamental purpose of this report is to investigate existing and emerging uses of CO2 and to review the potential to capture and reuse CO2for industrial applications in order to accelerate the development and commercial deployment of CCS. It considers both the near-term application of mature technologies such as enhanced oil recovery (EOR) and the longer term application of a number of promising new technologies that are still in the initial stages of their technical development. 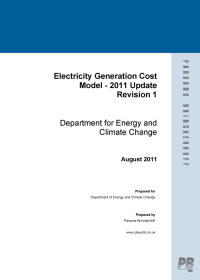 This report provides the supporting information to the update of cost assumptions and technical inputs for the DECC Levelised Electricity Cost Model. The report begins by defining the scope of the work which PB undertook and the general limitations which were experienced. The methodology of the work, including the general approach and the data sources used, are then detailed. Also, any fundamental changes which had to be made to the model are explained. The main focus of the report is an analysis of the methods and assumptions used to update the cost and technical inputs. The main parameters of key timings, technical data, capital costs and operation and maintenance (O&M) costs are discussed in full. The report is concluded by giving an overview of each technology, in terms of the notable updates and key reasons behind these updates. The current state of the technology and any expected future changes are also discussed. A summary of the updated cost assumptions and technical inputs have been included in the appendices of the report, along with the subsequent levelised cost results. 본 보고서의 근본적인 목적은 CCS 개발과 상업적 보급을 가속화 하기 위해서 기존 및 신규 이산화탄소의 활용 방법과 포집된 이산화탄소의 잠재적 재활용 방법을 검토하고 있다. EOR 등의 완성기술 단기적 응용 및 아직 초기 단계인 촉망되는 미완성 기술의 장기적 응용 모두 고려하고 있다. 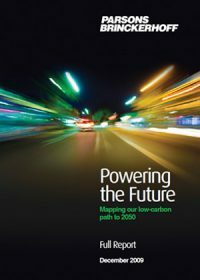 Powering the Future evaluates options for CO2 emissions reduction across all sectors of the UK economy. Incorporating government published statistics on the current energy consumption and CO2 emissions of each sector, it creates models that allow each improvement option to be analysed and evaluated. Scenario analysis is used to apply a consistent set of such options across all the sectors to evaluate overall CO2 emissions and to compare the value of the different options.